After 10 Years, And Lots Of “Love,” I Purchased A New Vehicle. It took a lot of time, and money in repairs, to finally convince me to trade-in my 10 year old Ford E350 service vehicle for the new Ford Transit 350. 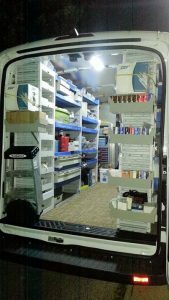 I added composite shelving, to save weight, and I’m semi-satisfied with the space that the medium roof, extended wheelbase, one ton Transit offers. The increase in fuel economy is substantial, too! Fair Trade Locksmiths List Legitimate Locksmith Companies in Pittsburgh, PA! 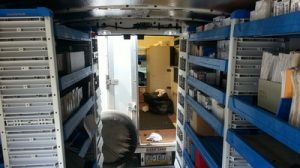 Quality Lock serves the Pittsburgh, Monroeville, and Trafford regions of Pennsylvania. 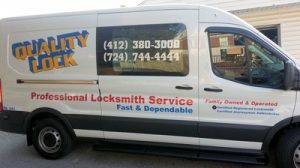 In business since 1989, we are your local choice for home, commercial, safe, and 24-hour emergency safe locksmith services.